Gordon Smith: What will Jermain Defoe’s arrival at Rangers mean for Alfredo Morelos? RANGERS’ recruitment of Jermain Defoe certainly got 2019 off with a bang. He might be 36 years old now, but this is a guy who has scored 100 goals in the English Premier League and has 57 caps for England. He is a top-class striker, and the fact he has agreed to come north is another feather in the cap of manager Steven Gerrard. Ally McCoist, one of Gerrard’s predecessors in the role, said it will be interesting to see if the move now opens the door for Alfredo Morelos to be sold on for big money. With 20 goals and 10 assists to his credit, the Colombian is a potent attacking weapon. However, he is also a liability. His display in the Old Firm derby – in which he appeared to kick out at Scott Brown, hit out at Ryan Christie and stood on Anthony Ralston – was typical. OK, he may have escaped sanction because referee John Beaton witnessed them in full at the time. But the fact he is committing these offences at all shows there is a problem. While Rangers supporters may love the fire he shows in games, they would be howling the roof down is they saw a Celtic player behaving that way towards their players. It is fine to have aggression in your game, but it has to be channelled in the right way. Morelos doesn’t show any signs of being able to do that. As I’ve said here before, he needs help. If Rangers aren’t prepared to get it for him, then selling him on for big money may be the solution. 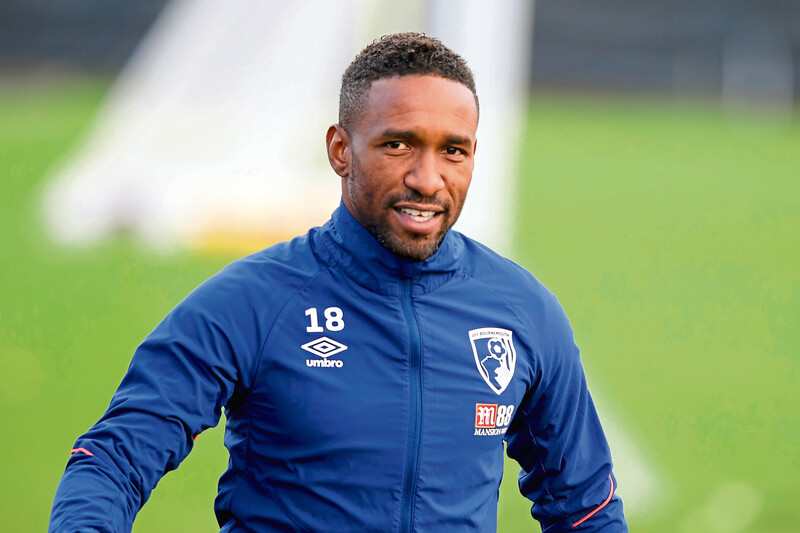 Alternatively, they may just view Defoe as high-quality cover and a mentor figure for Morelos ahead of what now promises to be a very exciting title race. I said in this column that Rangers would need to turn in an immaculate performance to beat Celtic. That they would have to reproduce the high-energy, high-tempo pressing game they had turned in against at Hibs at Easter Road to knock the champions out of their comfort zone. Roared on by more than 49,000 at Ibrox, Gerrard’s side produced a tremendous display to give their manager his first derby win. It was, as he said, their best display of 2018 and the timing, ahead of the winter break, could not have been better. Celtic didn’t play to near the level they are capable of, it’s true, but you can only play as well as the opposition allow you to. With the outstanding Ryan Jack, Scott Airfield and Andy Halliday relentless in shutting down their opponents’ time and space, the likes of Dedryck Boyata and Filip Benkovic were hurried into making mistakes. Why were Rangers so good? Partly, I think, because the players knew their jobs were on the line. Fail to compete and it was reasonable to assume Gerrard would have redoubled his efforts to recruit players who could in the January transfer window. As it is, he may now feel he has just about got the tools he needs at his disposal already, though there remains a case for bringing in a top-quality central defender and a creative midfielder.